Our small briefcase gets a graphic update for Cruise 2019 in the new Micro Intrecciato workmanship. 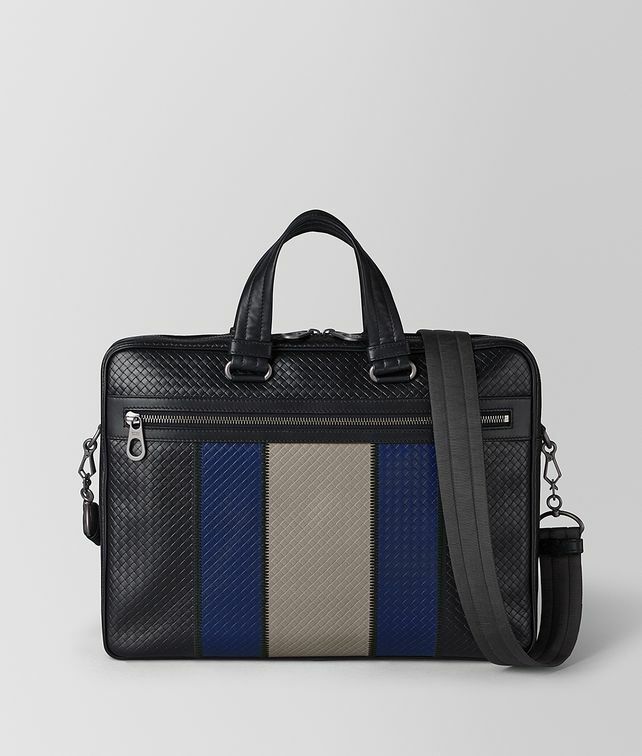 The slim business bag is made with panels of leggero leather, embossed with a woven texture and hand-stitched with black thread for a uniquely graphic, colour-blocked look. The practical style features a front zip pocket, a padded interior pocket to secure a tablet or laptop and a removable nylon ribbon cross-body strap. Finished with signature brunito hardware. Width: 37 cm | 14.6"
Depth: 6 cm | 2.4"